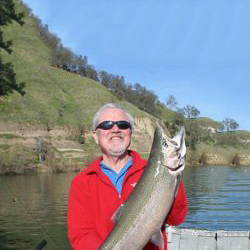 Dan Bacher is the long-time editor of the Fish Sniffer magazine, published by Northern California Angler Publications. His articles on fisheries, water, regulatory capture, and environmental justice have been published in an array of publications, including the East Bay Express, Appeal Democrat, Sacramento News & Review, Sacramento Bee, Native California News, elkgrovenews.net, yuba.net, Counterpunch and others. Bacher is a member of the Freelancers Guild of the Pacific Media Workers Guild, Communications Workers of America (CWA) AFL-CIO, Local 39521. He serves on the Advisory Board of the Save the American Association and is a board member of water4fish.org. He was inducted into the California Outdoors Hall of Fame in January 2015.